Many people have never heard of a pygmy hippopotamus, let alone seen one. Most of them live in Liberia and the Ivory Coast of West Africa. Conservationists are concerned about their future survival, with illegal logging the biggest threat. When their habitat’s rare trees are cut down, these hippos have less food. In this story, Mama Hazel warns her adventurous year-old son that it’s too dangerous to run around in broad daylight. 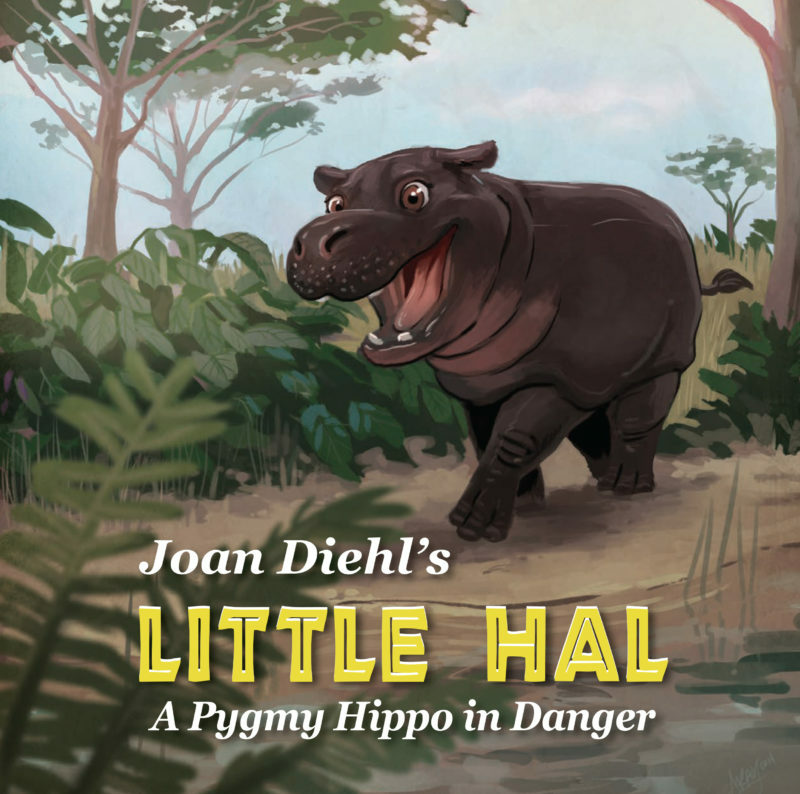 After all, a pygmy hippo is supposed to be a nocturnal creature. However, Hal loves his West African habitat so much that he can’t resist exploring it in the daytime. As a result, he’s almost shot by a hunter. Undaunted, his adventures include meeting a frightful looking but harmless warthog and making friends with a dwarf crocodile!